Tips and suggestions for how to reconstitute, use or store Thrive Products. 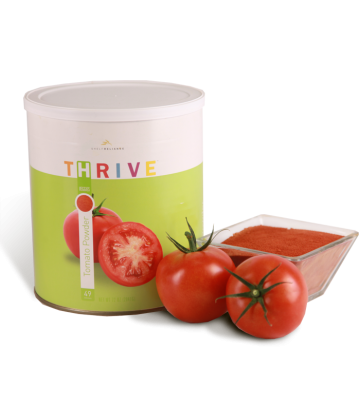 Thrive Tomato Powder is one of my favorite products. 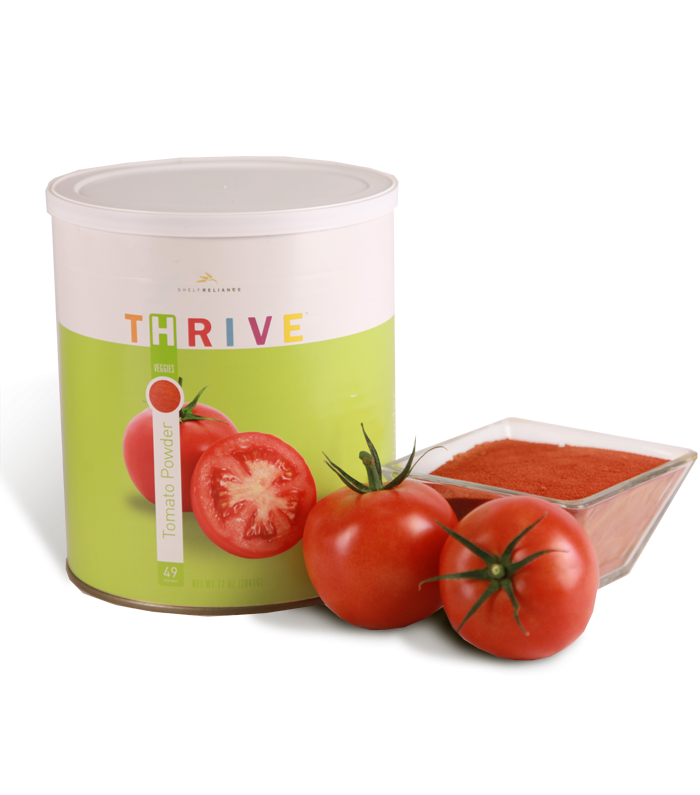 You can Substitute THRIVE Tomato Powder in any dish that calls for tomato juice, paste or sauce. It’s perfect for stews, soups, Italian sauces, casseroles or pasta. Add it to your beef gravy for a richer and heartier flavor. Notice the ingredients? Yep, just tomatoes! — Non-GMO, NO MSG and NO preservatives! Preparation Instructions Mix THRIVE Tomato Powder into water until smooth to create tomato paste, sauce, or juice using the ratios below. This entry was posted in How to Thrive?, Thrive Product Tips on August 13, 2014 by Kay Curtiss.